Lesson 1: If your time horizon is 3-5 years, do not invest in a B2B marketplace. In 1998 and 2003, Elance and oDesk, respectively, were founded as online talent marketplaces. In 2010, oDesk surpassed $100.0 million in annual Gross Services Volume (GSV). In 2011, Elance surpassed $100.0 million in annual GSV. In 2014, our company was formed when Elance and oDesk combined. We relaunched as “Upwork,” and we began integrating the Elance and oDesk platforms. We surpassed $1.0 billion in annual GSV. We began operating under a single platform following completion of the integration. We launched our Upwork Enterprise offering and started building our enterprise sales team. 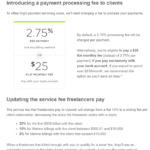 We changed our pricing model to a tiered service fee for freelancers and introduced client fees. We achieved positive adjusted EBITDA. We launched our U.S.-to-U.S. domestic offering. We surpassed $1.3 billion in annual GSV. As of December 31, 2017, we had surpassed $6.5 billion in cumulative GSV (including GSV from Elance and oDesk). It was 13 years before Elance reached $100 million in GSV. Odesk reached the same point in 7 years. (Odesk had a later start and marketed to a more tech-savvy community, so it reached this milestone faster.) Note also that Upwork subsequently grew from a couple hundred million in annual GSV to over $1 billion in just 4 years. B2B marketplaces take a while to get going, but once they do, they can a) accelerate and b) grow for very long periods of time at 25-30% CAGR. Lesson #2: Once you make a match in a marketplace, how are you going to keep subsequent transactions on the platform? There is simply is no escaping this issue for B2B marketplaces. A big part of the value of a marketplace is the search and match between two parties previously unknown to each other. That match creates value for both parties, especially the seller. But once the buyer and seller have found each other, how do you keep subsequent transactions on the platform? For our Upwork Standard offering, we have a tiered freelancer service fee schedule based on cumulative lifetime billings by the freelancer to each client (my emphasis added). Freelancers on our Upwork Standard offering typically pay us 20% of the first $500, 10% for the next $9,500, and then 5% for any amount over $10,000 they bill to each client through our platform. Prior to June 2016, we typically charged a flat 10% fee to freelancers. This declining fee structure fits better with the Upwork value proposition than the flat 10% fee. The initial match is worth a lot, subsequent transactions less so. In addition to price, Upwork provides escrow services, project management services, ratings, payment services, managed services, and a myriad of other ways to keep transactions on the platform. Lesson #3: SaaS metrics are tricky, but marketplace metrics can be even trickier. We define a core client as a client that has spent in the aggregate at least $5,000 since it began using our platform and also had spend activity during the twelve months preceding the date of measurement (my emphasis added). This includes the total amount spent by the client on both the Elance and oDesk platforms for the periods prior to the consolidation of the two platforms… Historically, these core clients have been more likely to continue using our platform, and, for 2017 and the six months ended June 30, 2018, represented approximately 80% of our GSV (my emphasis added). We believe that the number of core clients is a key indicator of our growth and the overall health of our business because core clients are a primary driver of GSV, and, therefore, marketplace revenue. The part about being active in the last 12 months makes total sense. The “aggregate of at least $5000” in cumulative spend on the platform seems random until you realize that Upwork is basically applying Pareto’s rule: 20% of their buyers account for 80% of their spend. Upwork is admitting that it will have a lot of churn in the conventional sense, but will steadily add these longer-term customers to grow. Lesson #4: Bite the bullet and combine the platforms. Upwork resulted from the 2014 combination of Elance and Odesk. In 2015 and 2016, Upwork rationalized those platforms. As you can see from above, the merging of the platforms temporarily hurt growth. My experience is that no one ever wants to go through the considerable pain required to combine platforms. (And make no mistake, it is painful to move clients to a new platform.) But once the platforms are combined, the rewards in reduced operating and marketing costs, improved simplicity, focus, and organizational cohesiveness are well worth the pain. On the “other” side of these painful transitions, most people wish they had done it sooner. Many B2B marketplaces are asked by their buyer clients to take on more of the source to pay process. It could involve handling the sourcing, becoming the vendor of record to simplify vendor maintenance and payment, and/or guaranteeing results rather than just matches. Upwork does this in their managed services business which is 12% of revenue. But, being a service provider is quite different than being a marketplace. It’s a big deal to be on the hook for the results versus simply being responsible for enabling parties to transact. (Just ask Facebook and Amazon!) In addition, for managed services, all of the GMV runs through the P&L. As a result, marketplace margins look worse and the financials no longer look like a SaaS business. This should make no difference to investors, but it does complicate the story. 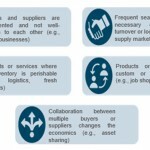 B2B Marketplaces can only survive if their market values supplier variability. But most buyers seek to eliminate this variability. Upwork, the successor company to Elance and Odesk is tweaking its fees--not an easy task for a two-sided marketplace. 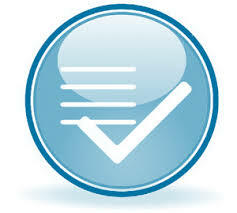 Managed Services are one of nine value propositions enterprise software providers can offer their participants.